You’ve probably heard about a Paleo Autoimmune Protocol (AIP) diet or someone may have even recommended this diet to you, but many people don’t really know what this diet is all about. 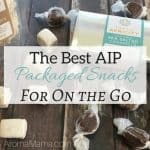 Well, I have been on an AIP diet and can fill you in on what it’s really like to experience a diet like this. I hope that this article can shed some light for you. But first, I want to fill you in on what led me to this diet. This past year a friend of mine from nursing school died of cancer leaving behind her spouse and young children. This news hit me pretty hard especially since she was younger than me! This sad news contributed to one of my goals for 2017. I decided that I was going to actively improve the health of my family in 2017 like never before. This was after coming to the realization that me and my family were living a healthy lifestyle in the eyes of many, but there was a lot of room for improvement. I had to take it up a notch to get over the symptoms of an autoimmune disease I was experiencing. There are so many things in our environment that can hinder our health goals. Things like hidden mold exposure and toxins in the air, water, and soil. Then, there are everyday stressors that we all deal with and so many anxieties we carry. I see a lot of people trying to treat themselves, but it can end up more costly in the long run without even getting to the root cause. 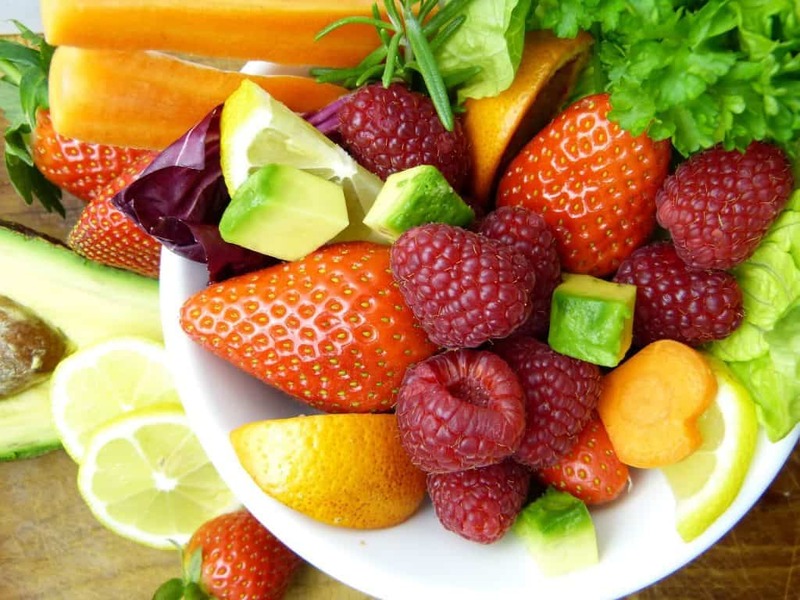 There are things to consider like nutritional imbalances, parasites which are more common than people realize, or any of the root causes of autoimmune disease that can be identified with the help of a functional medicine doctor. This was how I set out on this new journey. I was determined to find a doctor that I could trust. Also, one that could run comprehensive lab tests and work with me towards my health and wellness goals naturally. Keeping these things in mind, my husband and I started working with a local functional medicine doctor in late January 2017. We signed up for a 6-month program to improve our health. The first thing our doctor had us do was start eating an Autoimmune Paleo diet. People often go on this diet at the request of their doctor if they have any kind of autoimmune disease. This diet can benefit people living with chronic inflammation or leaky gut symptoms because it removes the most common inflammatory foods from the diet. Leaky gut is most often caused by consistently eating a diet with an abundance of inflammatory foods. A good example of this is the standard American diet (SAD). Leaky gut is becoming so common in our society that even our children are presenting with leaky gut symptoms. We are witnessing this with the rapid increase of children with growing lists of food intolerances. So, you are probably wondering by now, what does this diet look like? NO: grains, nuts, seeds, gluten, dairy, eggs, soy, alcohol, sugar alcohols, beans, legumes, nightshade vegetables, coffee, vegetable oils, and processed foods. YES: most vegetables, fermented foods, meat, fish, fruit, coconut products including Coconut Aminos, herbs, apple cider vinegar, animal fat, avocado and olive oil, and herbal teas. If you are familiar with the Whole 30 diet, you may notice a lot of similarities between the two diets. The difference is an Autoimmune Paleo diet refrains from eggs and nuts. Eggs and nuts are common food allergens for people. This diet has involved a lot of self-discipline and has been so rewarding at the same time! My favorite part of this diet is to no longer feel daily sugar cravings. I can’t stand having sugar cravings so I am happily sticking to my diet for this benefit alone. Also, I feel more energetic, emotionally grounded, and less sleepy throughout the day. 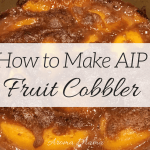 The most important part of being on the AIP diet is that it is helping me to get better from the root cause of my autoimmune disease. 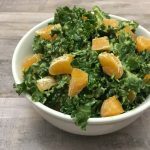 I have lost weight on this diet as my body becomes less inflamed, but I was hesitant to even mention it since that was not one of my driving forces for eating this way. This diet also means I avoid eating out at restaurants, and to be honest, I actually don’t miss it. It also means I make nearly all my own food. Although, there are some AIP approved packaged snacks that are shared in this article. Planning my meals at least one day ahead of time or stocking the fridge with food I can eat ensures that I stay true to my diet. I have to set aside enough time in my day to make my food too, but batch cooking really helps with that. Eating a gluten-free, dairy-free, and sugar-free diet for 5 years had become comfortable for me. I felt confident with my cooking and baking skills and worked hard to establish them through hours and hours in the kitchen working with alternative ingredients. Starting on an Autoimmune Paleo diet has been a complete change for me. I had a lot of great recipes and now I am starting from scratch. I have had to learn how to cook and bake without the foods I was so used to using like eggs, nuts, corn, oats and rice products. Everything I make now is experimentation and I’m always trying to come up with an appetizing meal while limited to what I can use. I have been experimenting with egg substitutes and have had successes and fails, but I have a sweet daughter that will eat the fails anyway. The good news is that my diet is opening up more the longer I am in my nutrition program. After a month of strictly eating an Autoimmune Paleo diet, my doctor allowed me to slowly introduce some foods like nuts and seeds. I have been very cautious with re-introducing food because I seem to have a food intolerance reaction to more foods than not. A typical food intolerance reaction for me may involve feeling exhausted, irritable, sinus pain or pressure, itchiness especially on my scalp, and sometimes a dull headache. I noticed that the symptoms get worse when I have eaten a food several days in a row that I am intolerant to. This will usually look like a stiff neck and joints, sporadic hives, eczema, and even hip or knee pain like I have arthritis. 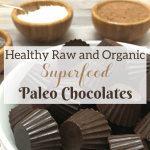 In the past, I have even gotten heart palpitations and generalized anxiety when I have had inflammatory foods like dairy and gluten for a longer period of time. A food intolerance reaction will look different for everyone. There are no two people alike and typically inflammation will go toward the weakest link in your chain first. In addition to my response to the death of my dear friend dying from cancer, I’m taking my nutrition program so seriously because a year ago to date, I felt like I was dying. I had less energy than my aged parents. Bouts of hypoglycemia and near blackouts while driving with the kids in the backseat was scary, to say the least, and kept me from driving for over a month. My anxiety was at an all-time high and my heart would go into an irregular heart rhythm which would literally take my breath away. I didn’t know I had an autoimmune disease at the time, but apparently, I was having a flare-up. 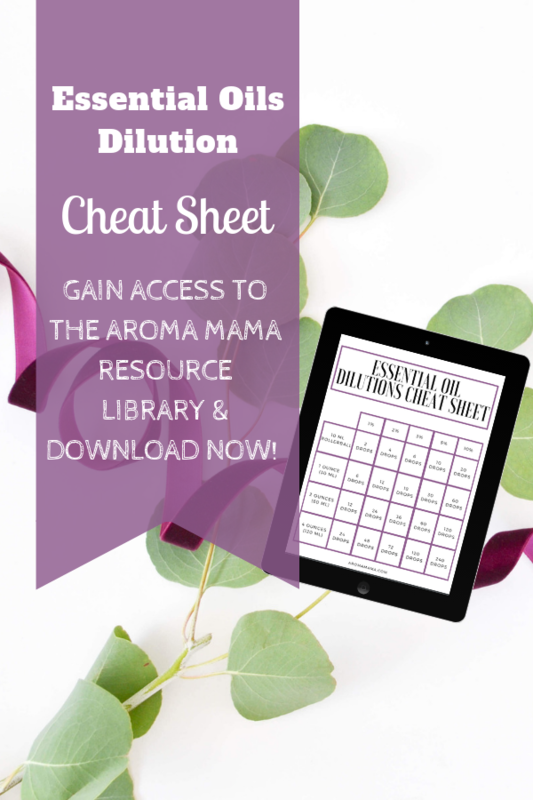 Even though I am a busy homeschooling mom that also works at home, I don’t make excuses for myself to cheat on my diet. I am determined to stick to my program and get the results I am hoping for. My goal is to improve my quality of life and be around for my family for decades to come if I can help it! 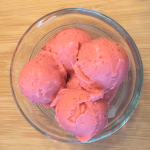 This is my personal experience with an Autoimmune Paleo diet. My hope is that this article provides you comfort that you could do this if ever the need arises. It is possible to eat a strict diet like this one and still improve your quality of life. It comes down to a lot of creativity in the kitchen and having a strong why. When there’s a will, there’s a way! 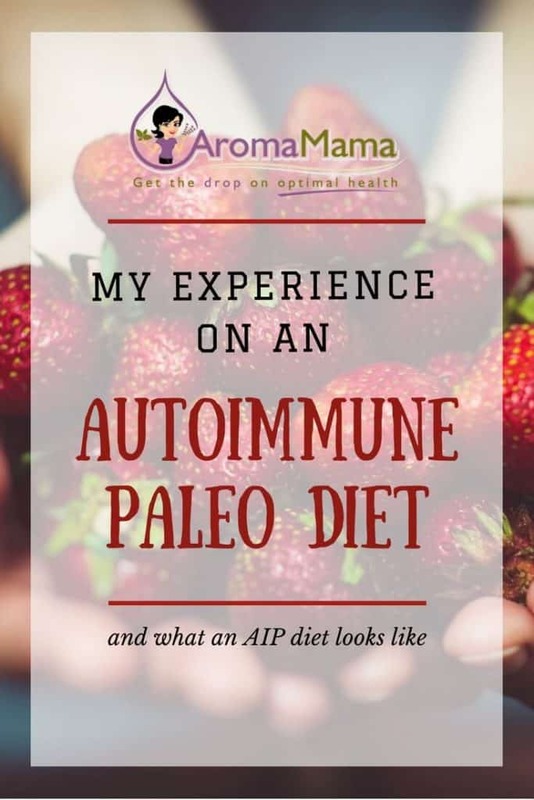 Please Share, Pin, or Tweet this article so that it reaches the people that could benefit from hearing my testimony of being on an Autoimmune Paleo diet. That’s great, Mackenzie! I noticed that low fodmap is really helpful for me too. It’s awesome that simple dietary changes can improve how we feel! I have never heard of this. Thanks so much for making others aware. You are so right, how we eat determines how we feel. Sugar free is key to a great healthy lifestyle, I like your discipline. Thank you, Helen! I agree with you! Thank you, Tanya, for your wonderful comment! Finding the right diet for our individual needs is definitely worth pursuing because of how dramatically it can improve our lives once we can get a handle on what is nourishing our bodies versus what is causing inflammation. You can do this! Thank you, Jennifer! You are an inspiration and congratulations on being able to reintroduce more foods into your diet! Thank you for sharing this! It makes me want to cry that some of what I am experiencing (heart palpations and black out feelings when I am driving with my kids in the car) and have been for almost a year, is what you were experiencing. We have found that I am in a “flare” and I am trying to deal with it naturally, as I don’t want to go on meds. Thank you for sharing this! It is exactly what I needed to read, right now! This was affirmation that this diet is the route I need to pursue!! I’m so glad to hear you found this information helpful, Katie! I wish you the best and hope you feel better very soon!